The kitchen is one of the most used rooms of the home, and when you choose to go through a full kitchen remodel, you will find that it can be really disruptive to your everyday life. Therefore, we have compiled a few tips for you to make the remodeling process a little easier for you. One of the worst things is leaving something in the kitchen that you know you use a lot. Utensils, mugs, plates, and your coffeemaker, for example, are a few items that you should be sure to pack up and remove from the kitchen prior to the work getting started. When packing the items, label the box, so you know what the items are. This process will also give you a clear idea of what items you will want to keep in the kitchen while also giving you a better idea of what items you could part with. Now you will want to pull everything out of your cabinets and categorize these items. Always be sure to label any boxes you pack so you know what goes where. You should also have a discard and donation box handy so that you can start the decluttering process. There are many items we keep in our kitchen that we probably haven’t even looked at in years. Do you really need that punch bowl you got at your wedding a decade before? The one still in its box and never used? The kitchen should contain practical things that you use on a regular basis—anything else may just be clutter that you should clear away. After decluttering the kitchen and determining which items you will actually use regularly, you can then categorize everything being sure to keep all like items together for better organization. When the remodel is done, and it is time to put everything away, items that you use most often should be placed within easy reach. If there are items you decided to keep but only use a few times a year, then it is okay to put these items into storage somewhere else other than the kitchen. Finally, decluttering doesn’t end with the drawers and cabinets in the kitchen. After your remodel, you should also try to keep the refrigerator art and magnets to a minimum as well. Too much on the fridge can begin to make the space look cluttered again. A shopping list on the fridge, however, is always good and is another way to keep you organized. 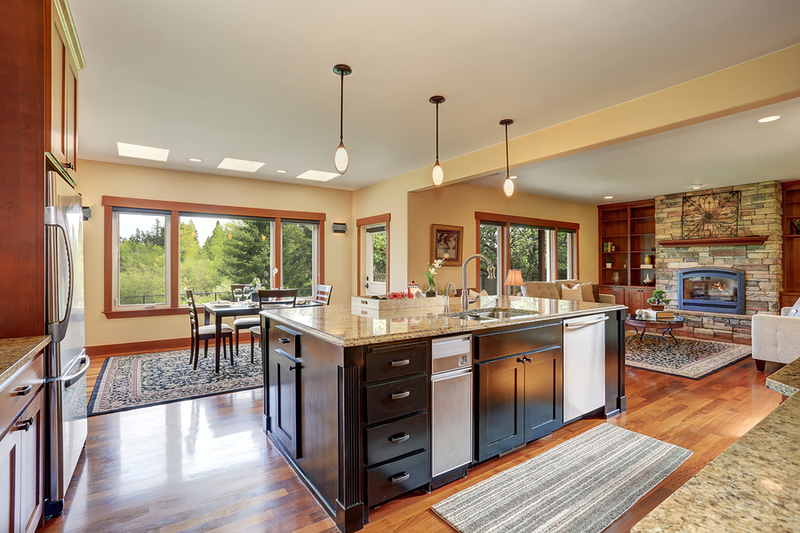 Ready to discuss the specifics of your kitchen remodel? Contact us at Cardigan today for some cabinet and countertop options you will love.